The microgrid industry is new enough to be something of a wilderness. Policymakers aren’t always sure which way to turn to encourage its development. In the U.S., the state of Connecticut is serving as a guide. Well before SuperStorm Sandy — the event that brought microgrids to the fore — Connecticut had microgrid incentives in the works. Now, as it readies to offer a third round of funding through its microgrid grant and loan program, what lessons can Connecticut teach? To find out, we spoke with three key people working with the microgrid projects: Tracy Babbidge, bureau chief at the Connecticut Department of Energy and Environmental Protection (DEEP), Bill Moran, senior electrical engineer at TRC Companies and technical consultant to Connecticut, and Veronica Szczerkowski, DEEP’s microgrid program coordinator. Expect microgrids to get larger in size and more complex. Microgrids are drawing in new stakeholders, some unfamiliar with energy. It’s important to take time to educate them. Prepare to put some work into finding financing for the generation portion of the microgrid. This understanding comes as Connecticut gets ready for a rapid succession of new microgrids in the coming months. Middletown already has a microgrid up and running at Wesleyan University; the microgrid received funding in the state’s first round. The town of Fairfield is scheduled to begin operating its microgrid soon. And after that, others are expected to come on line quickly through the remainder of 2015 and into early 2016. In all, the state allotted $23 million to 11 projects through the first two competitive solicitations. Urgency is growing among states, especially in the Northeast, to build microgrids before another disaster causes massive outages. Thus, “everybody is peering over everybody else’s shoulder” to better understand best practices, according to Moran. Many campus-style microgrids already offer guideposts in the U.S. But less is known about a newer kind of microgrid being pursued — the community microgrid. Connecticut, and more recently New York, are strongly pushing community microgrids. These microgrids serve vital community facilities, such as police stations, emergency shelters, and communication towers — and sometimes homes. They often have multiple forms of generation, energy storage, a grid connection and islanding capabilities. 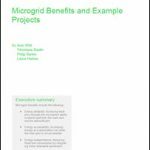 The state issued its last solicitation for microgrids over a year ago. It has not rushed the third one, but has taken time to learn from the first two, in keeping with its intent as a pilot program. The state microgrid team also took the time to educate others. Mayors, municipal leaders, city planners, and community advocates are showing growing interest in microgrids. They like the idea of having local control over their energy supply, but are unfamiliar with the technology or their role in its development and operation. The financing problem became apparent when the state received a lower response from its second request for proposals than it had from its first. The state had sought more complex proposals in the second round; projects had to be further along in development to qualify for funding. Connecticut offered $15 million, but ended up awarding only $5.1 million. The financing issue — or others — did not discourage the state. It had hoped to see the projects built more quickly; however the program’s main intent was not speed, but understanding. So rather than abandoning projects that were trying to find their way in the new industry, the team instead helped them work through their problems. The attitude is: let’s make it happen, Babbidge said. “The one thing we’ve tried to stress all along is that we are a pilot program. All of the projects that have been awarded are good projects, so we’d like to see them all succeed,” she said. In addition, as the program has evolved, Connecticut has tried to move away from simple emergency back-up microgrids and instead incentivize “cleaner greener generation” with a longer term benefit, Moran added. “That is one of the reasons you have fewer projects as time goes on — because they become a little more complex and take a little bit longer to develop,” he said. One thing that has not been an issue in Connectcut — which may be elsewhere — is utility interconnection, Moran said. Several years ago Connecticut Light & Power and United Illuminating, the state’s two investor-owned utilities, issued distribution interconnection guidelines. The result is that Connecticut is one of the easier states for interconnection, he said. Demonstration and information sharing among states is likely to become even more crucial as microgrids grow in complexity. Moran sees a merging of microgrids and smart grids occurring, with demand management and communication between consumer devices and the utility growing in sophistication. Other states now have microgrid programs and solicitations underway, among them California, New Jersey, and New York. But in many ways, Connecticut remains the one to watch, at least over the next year, as it brings more microgrids on line and releases its third solicitation. More lessons are still to come. This is the second of two stories on Connecticut’s microgrid program. See the first part here. 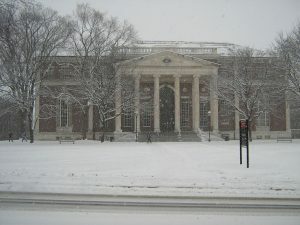 Check back at MicrogridKnoweldge.com for the news when Connecticut’s releases its third microgrid solicitation. Or subscribe to our free newsletter for notification.